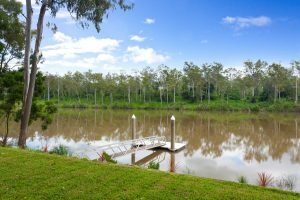 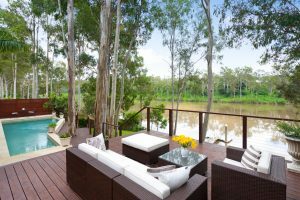 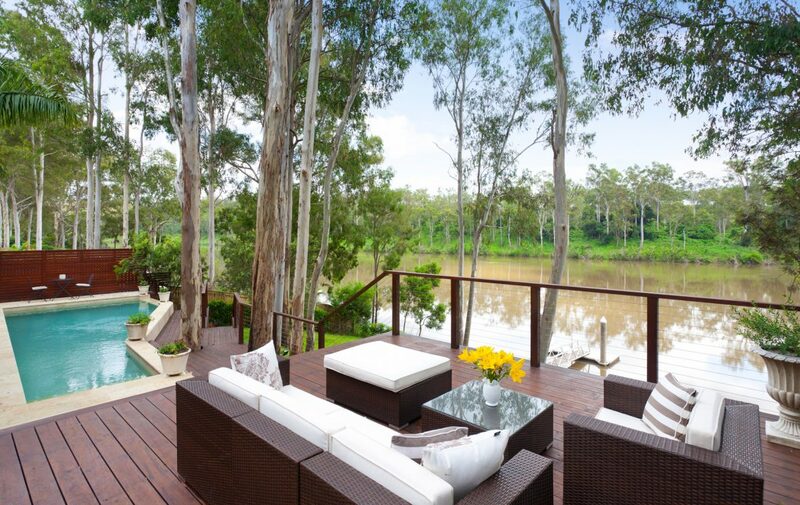 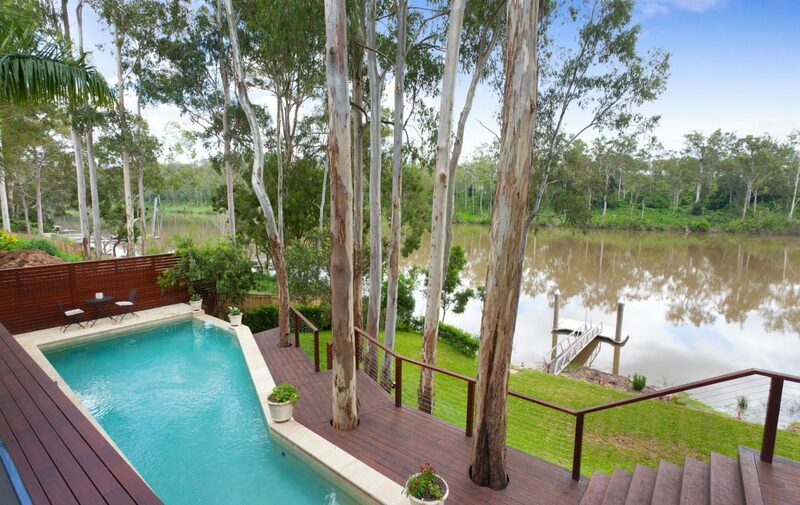 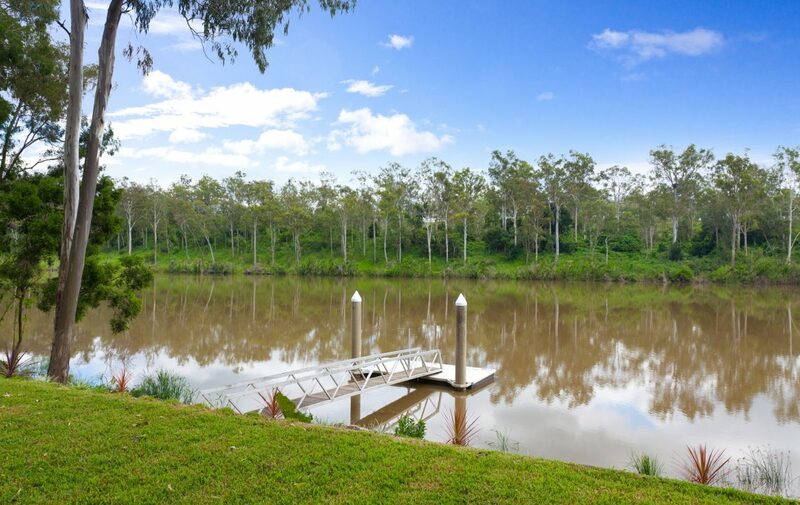 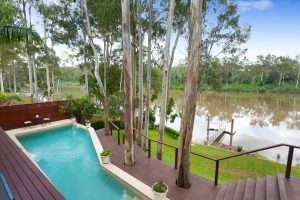 This holy grail of individuality occupies approx 1/3 of an acre of exclusive absolute river frontage, with your own private pontoon, perfect to port your boat or kayak. 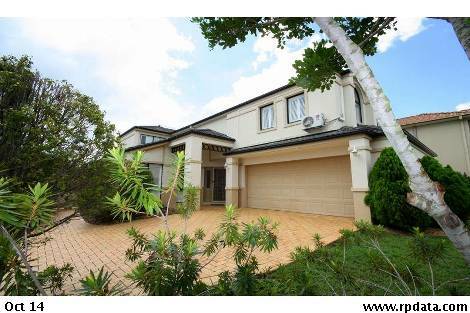 Facing north, with outlooks down the rivers reach and views to the University Veterinary farm on the opposite side of the riverbank you will relish your 180 degrees views of water & land with no obstructions or constructions. 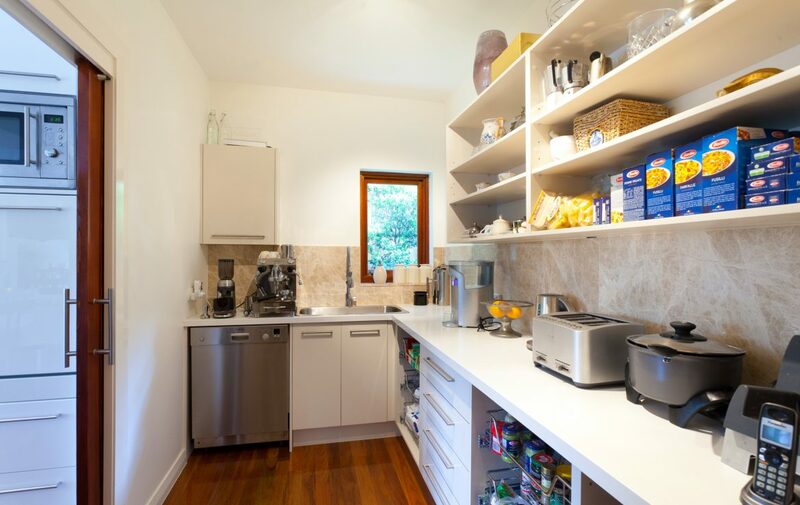 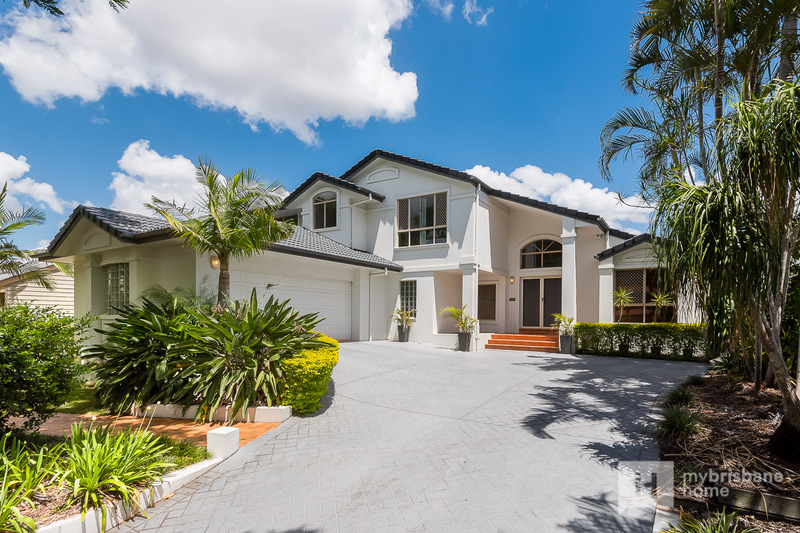 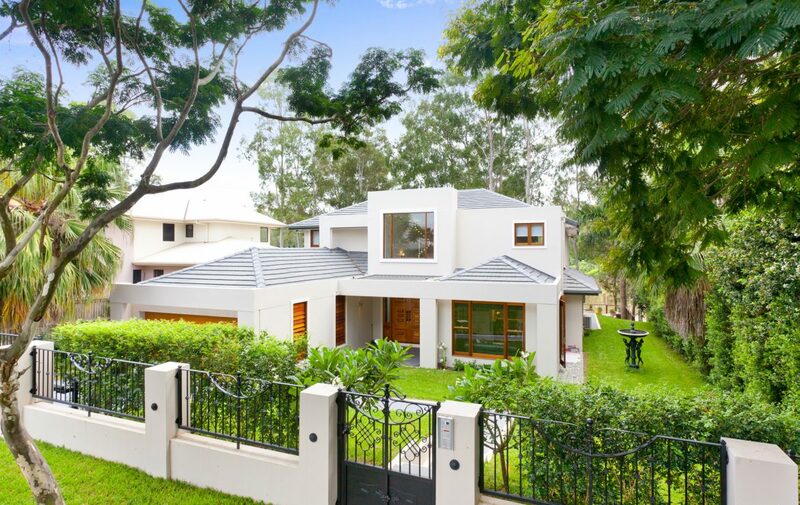 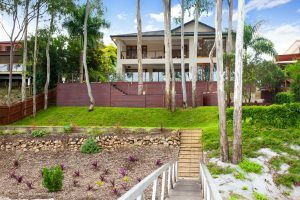 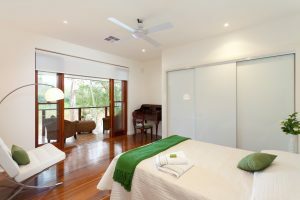 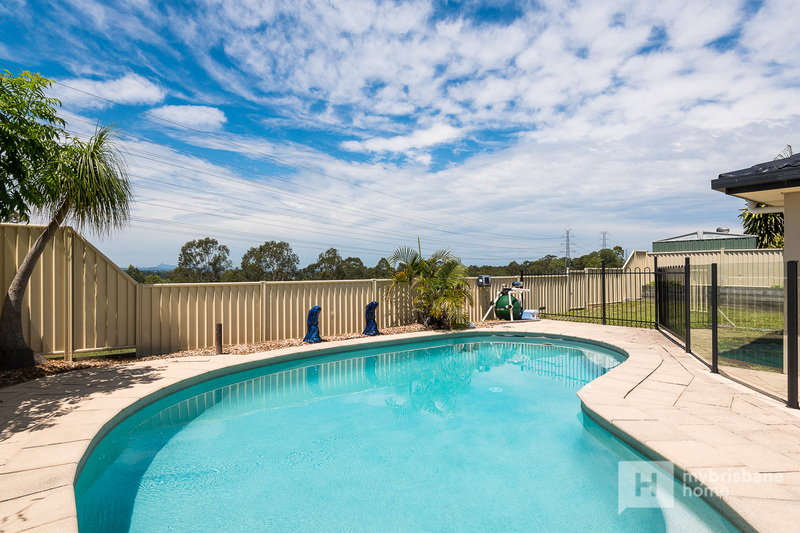 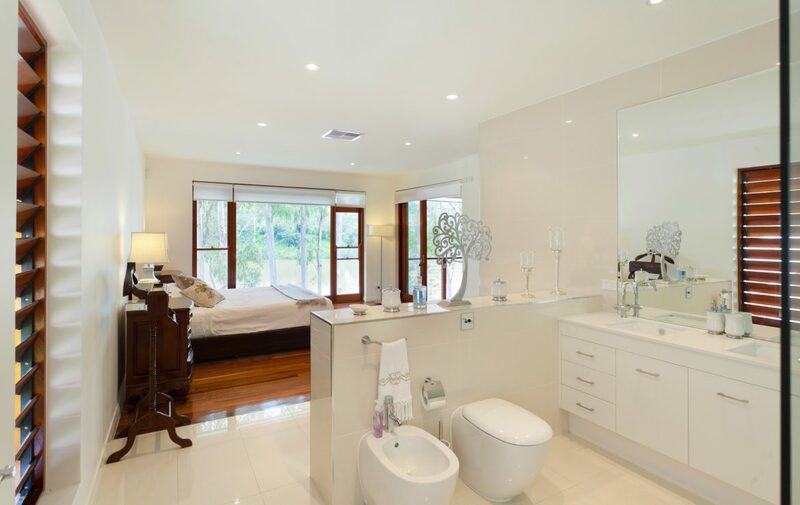 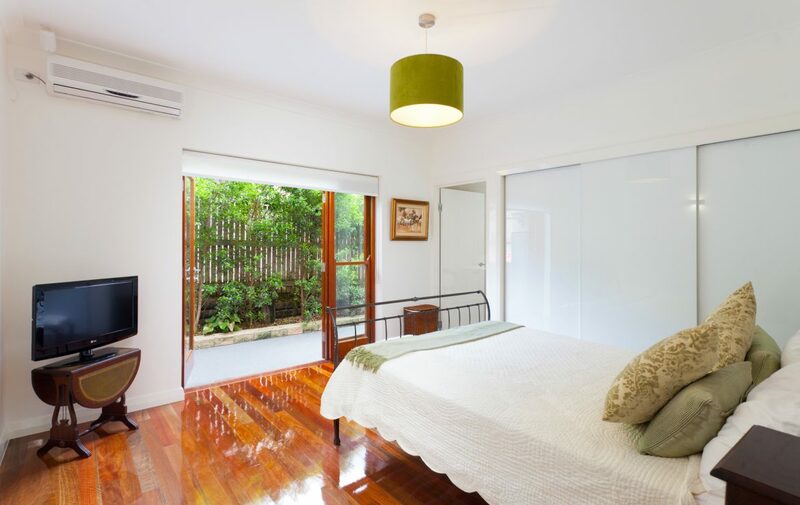 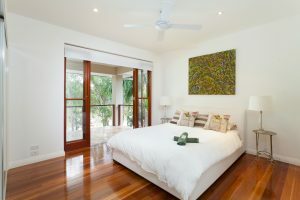 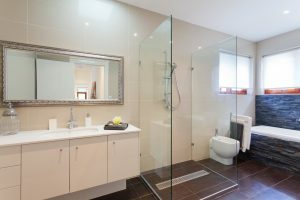 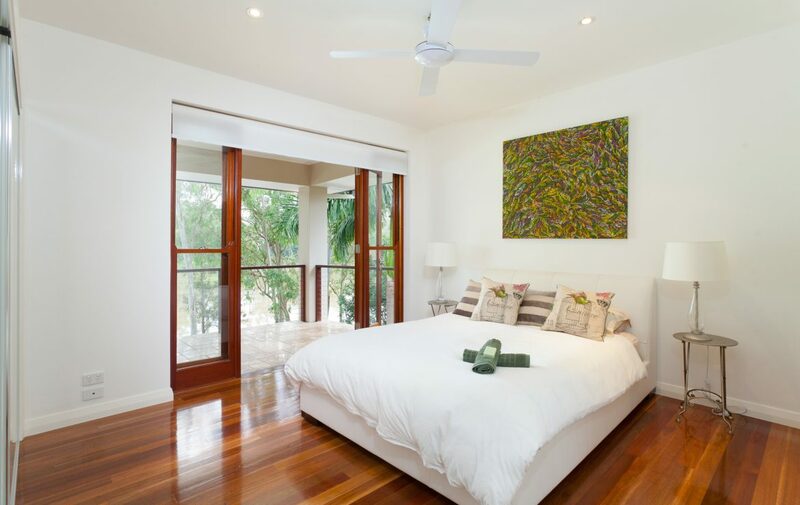 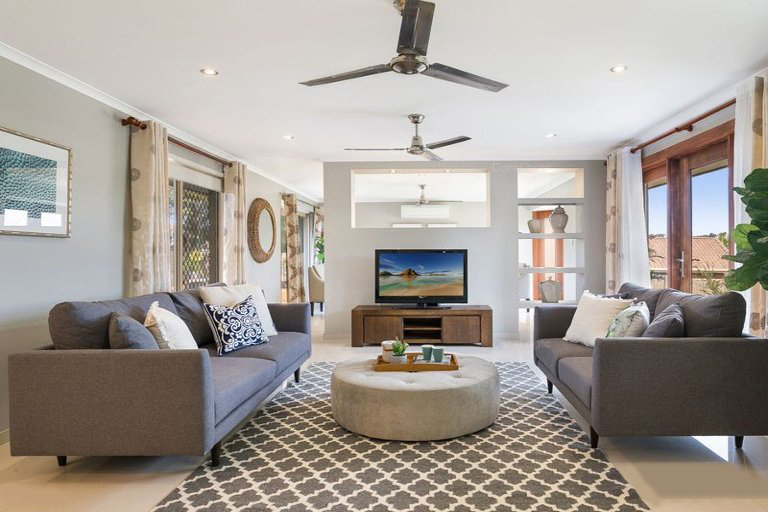 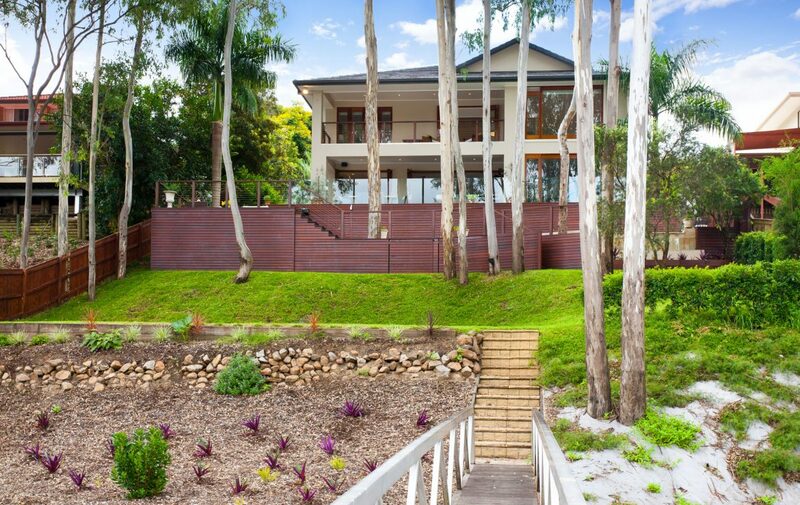 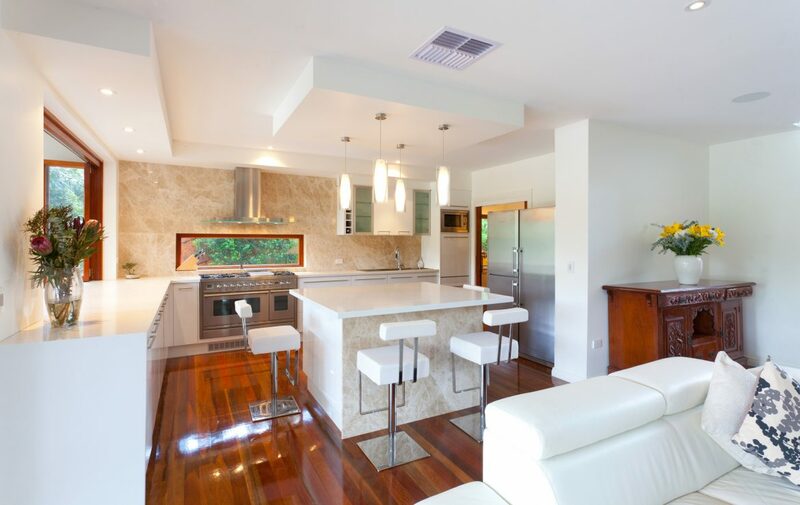 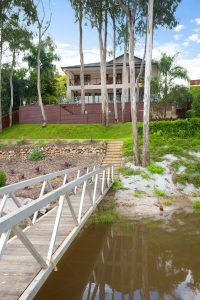 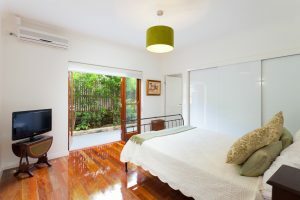 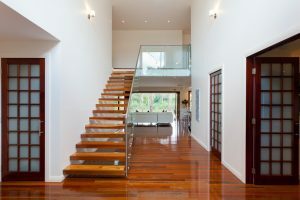 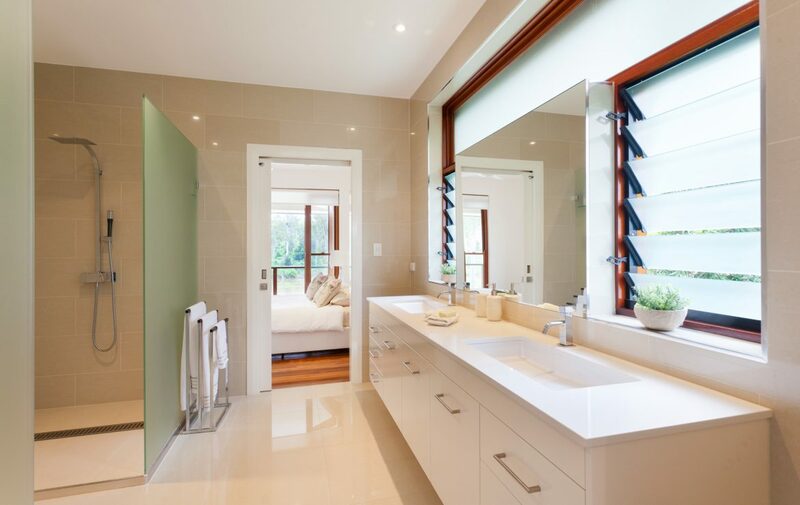 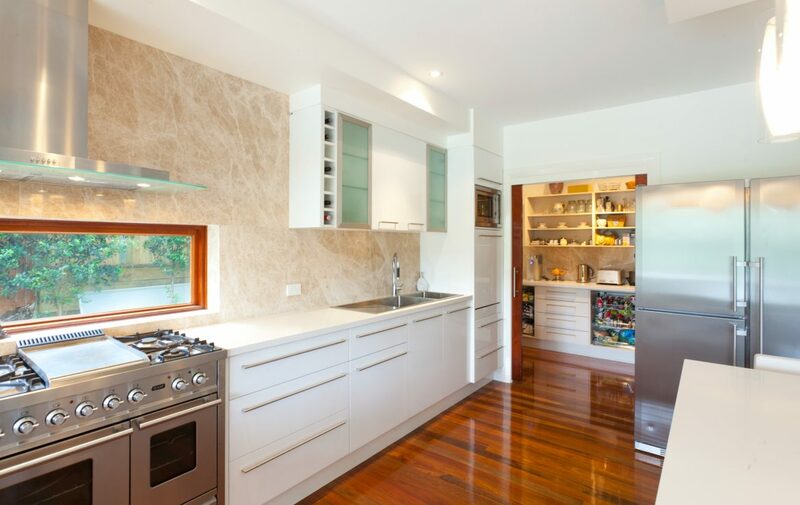  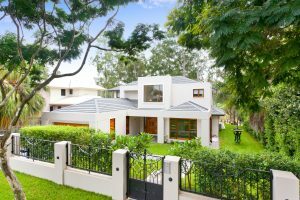 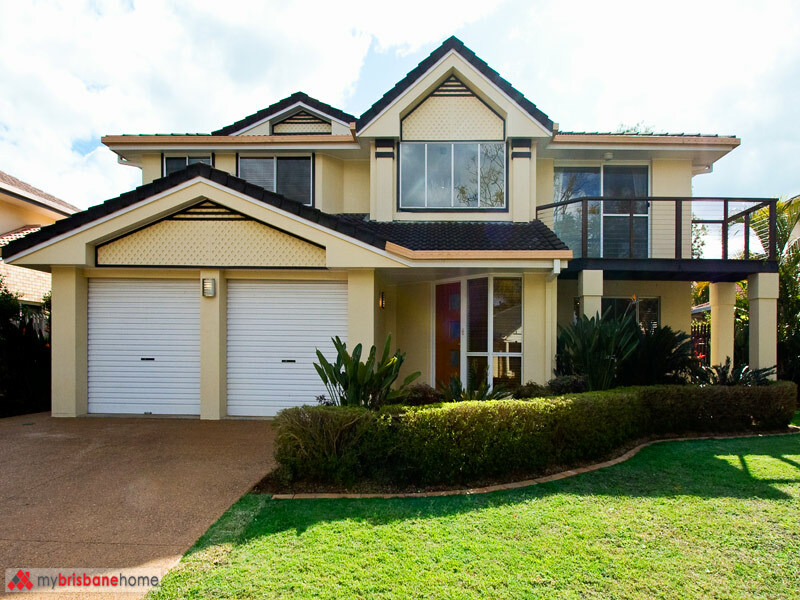 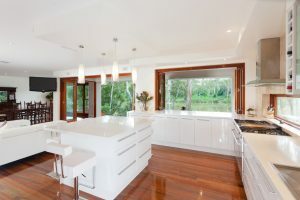 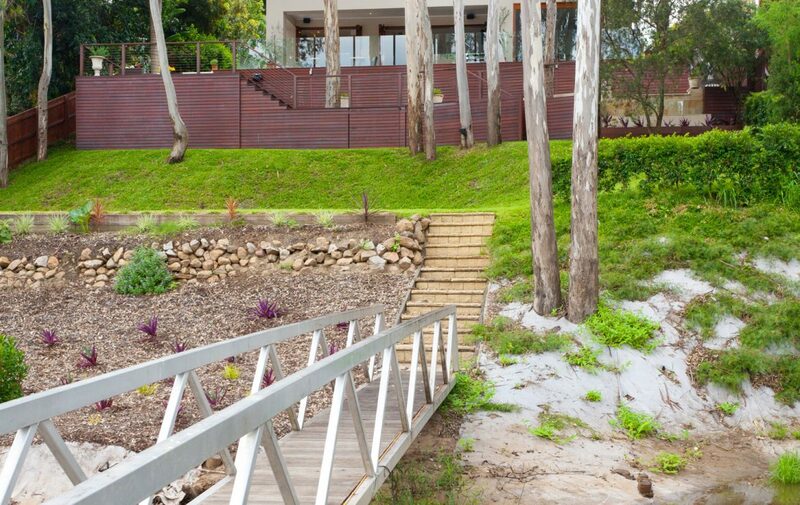 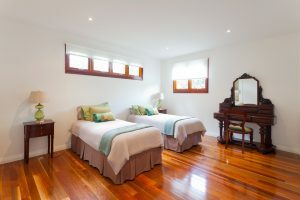 A unique architectural design that is both practical yet modern, with only the best quality sources used to benefit the environmentally conscious Queenslander. 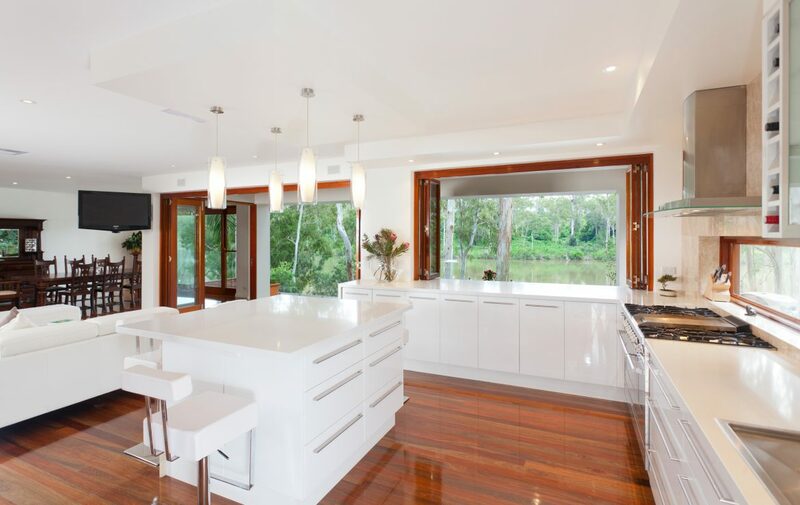 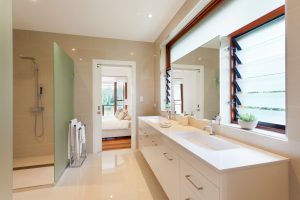 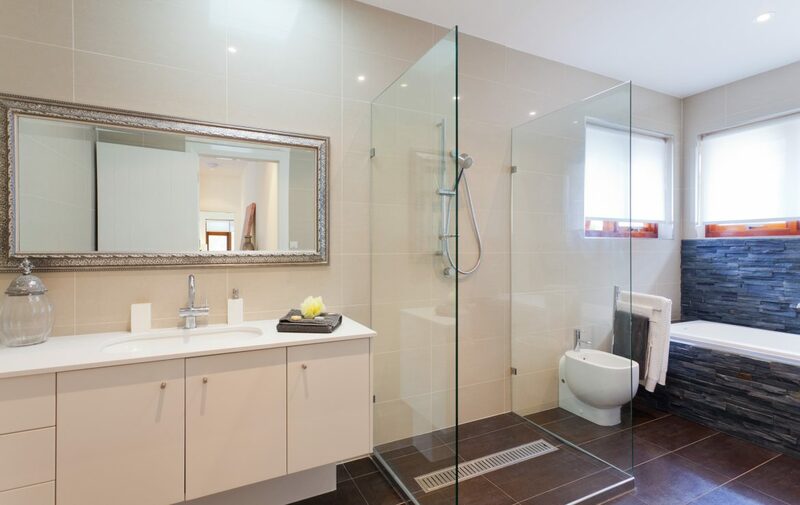 You will be impressed with the design, fixtures & quality features throughout. 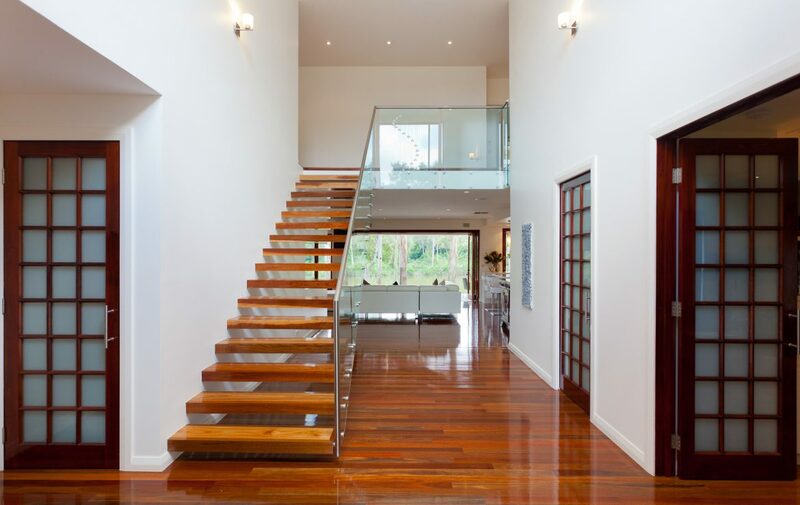 Understated excellence at its most discerning. 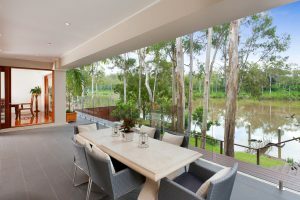 Amuse guests on your glass ballustrade portico or watch the children swimming in the pool from the deck while having your sunset aperitif. 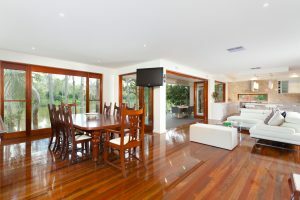 Or entertain a plethora of dinner guests inside with enough room for dancing. Or spend “me” time reading on the parents balcony upstairs. 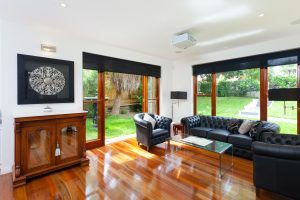 The front media room, is also the home office with built-in desks and credenza, when you’re in the mood drop the projector screen that is powered by your IPAD, dim the lights, open the front electric gate, chill or heat the house, lower the surround sound, all by your own IPAD, controlled by you, sitting in your media room. Enjoy PURE DECADENCY! 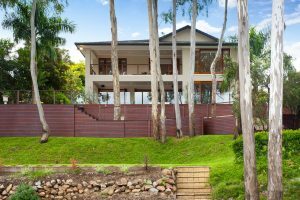 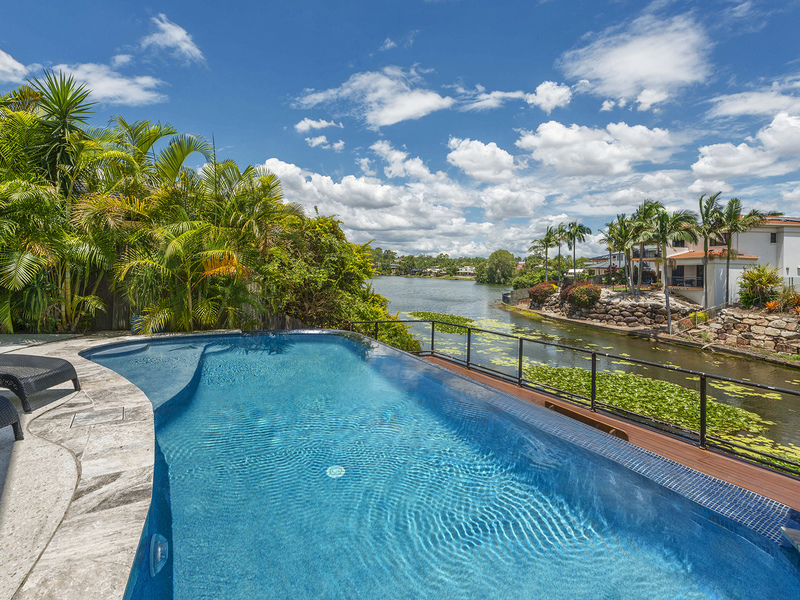 There is only one way to appreciate the beauty of this impressive riverfront home in the most prestigious and leafy street in Westlake, ring or email Sharon today to arrange your private viewing.